Jeff Shuford, President of the veteran-owned Tech From Vets, an award-winning digital development company aimed at helping business owners expand their technology-based ventures joins Enterprise Radio. Your company Tech From Vets was named The Best Veteran Owned Tech Company of 2016 by The Huffington Post, what did your company do to earn such a prestigious award? What are some of the solutions that you offer at Tech From Vets? Your company developed an award-winning app called Vets 22. What resources does the Vets 22 app currently provide? 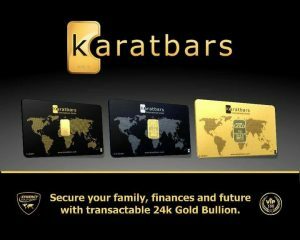 You have led your company to be featured in publications such as Forbes, Jacksonville Business Journal, MSNBC, Sports Illustrated and Entrepreneur.com among others. What makes veterans such a great asset in the technology sector? Tech From Vets has also positioned businesses to be featured in major publications such as The Huffington Post, Engadget, Buzzfeed, and Florida.com among others, any advice for business owners looking to increase their digital presence? Jeff Shuford is a Brand and Marketing Strategist who partners with CEOs, executives, and solopreneurs, to grow their personal and professional brands. ‎Jeff has landed coverage in print and broadcast outlets around the world, including Forbes, Sports Illustrated, MSNBC, NFL Network, Jacksonville Business Journal, and ESPN among others. His own articles have been featured in The Huffington Post, Business.com, IBM, Engadget, Business 2 Community, Tech.Co, Jacksonville Business Journal, and EvanCarmichael.com among others. Jeff is the CEO and President of Tech From Vets. Tech From Vets was recently named “The Future Of Veteran-Owned Tech Companies” and “The Best Veteran Owned Tech Startup of 2016,” by The Huffington Post. A veteran-owned veteran operated company, Tech From Vets specializes in everything from award-winning application development for both iPhone and Android, innovative web design to suit your style and needs, and brand acceleration services on nearly every medium you can think of. Shuford was also named one of the “Top 5 Emerging Veteran Tech Founders of 2017” by The Huffington Post. Jeff served in Operation Iraqi Freedom and earned a Combat Action Badge for his heroic efforts in combat at age 18. 2016 was a big year for Tech From Vets. Featured in numerous global publications, partnering with world class organizations, and making a significant impact on the technology industry, the innovative tech company was a major player in the tech space for the majority of 2016. 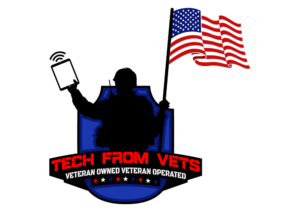 Established early last year, Tech From Vets stands for technology from veterans of the military and veterans of the NFL. Ironically, the dedication and determination exhibited by the tech company translated past the war zone and into an industry that’s not too welcoming of minorities or military veterans. Jeff Shuford and his team set out on a mission to change the perspective of veterans in the technology sector. Developing the award-winning mobile application fittingly titled Vets 22, Shuford and his team set out to end veteran suicides in their large town of Jacksonville Florida. Tech From Vets objective was to provide veterans access to resources more efficiently. “We tapped into Florida.com to provide VIP for Vets for our users. VIP for Vets currently provides discounts on car rentals, hotels, airfare, and many more benefits free of charge to veterans and their families,” stated Shuford. “We received many reports that veterans have found lifesaving resources with our app,” says Drayton Florence, NFL Veteran and Co-founder of the Vets 22 app. Everyday, 22 veterans take their lives because of PTSD, depression, and feeling like they are alone and that there is no help and no way out. A Pew Research study found that Veterans who served in the post-9/11 period report more difficulties returning to civilian life than those who served in Vietnam or the Korean War/World War II era, or in the years between major conflicts. The Vets 22 app features one-touch resources to suicide hotlines, where to find food pantries and homeless shelters, along with volunteer organizations and contact information to Veteran Organizations and fitness facilities. The Vets 22 app also features an easy to use chat feature that connects veterans with other veterans in their area so they can chat with those that may be going through similar situations. Hosting Buzz on Veterans on Buzz TV, Shuford understands the struggles veteran business owners face on a daily basis. 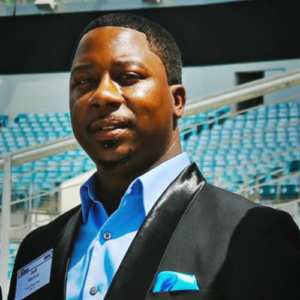 Partnering with The City of Jacksonville and Florida State College at Jacksonville, Shuford will be a featured panelist at the 2017 Jacksonville Vetrepreneur Summit. 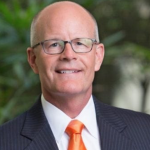 “Understanding the obstacles facing veteran owned companies, I am honored to provide my expert guidance to the many veterans confronted with the same challenges that our company encounter daily,” stated Shuford. Declared a branding expert and an expert marketing strategist by many Shuford’s company currently partners with CEOs, executives, and solopreneurs, to help grow their personal and professional brands. ‎Shuford’s technology company was named “The Future Of Veteran-Owned Tech Companies” and “The Best Veteran Owned Tech Startup of 2016, by The Huffington Post. Shuford has also landed his company coverage in print and broadcast outlets around the world, including Forbes, Sports Illustrated, MSNBC, NFL Network, Jacksonville Business Journal, Entrepreneur.com and ESPN among many others. His articles have been featured in The Huffington Post, Business.com, Jacksonville Business Journal, IBM, Engadget, Business 2 Community, Tech.co, and EvanCarmichael.com among others. Tech From Vets is currently developing an app called Invest in Vets. While the details of the app are not being released, the objective of the app is to help veteran-owned business owners increase their profit margins through technology. 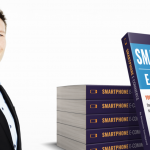 The future is bright for Jeff Shuford and his award-winning tech company. Veterans and minorities deserve a place in our technology ecosystem, Shuford and his team seem to have found their place in our technology-based society.